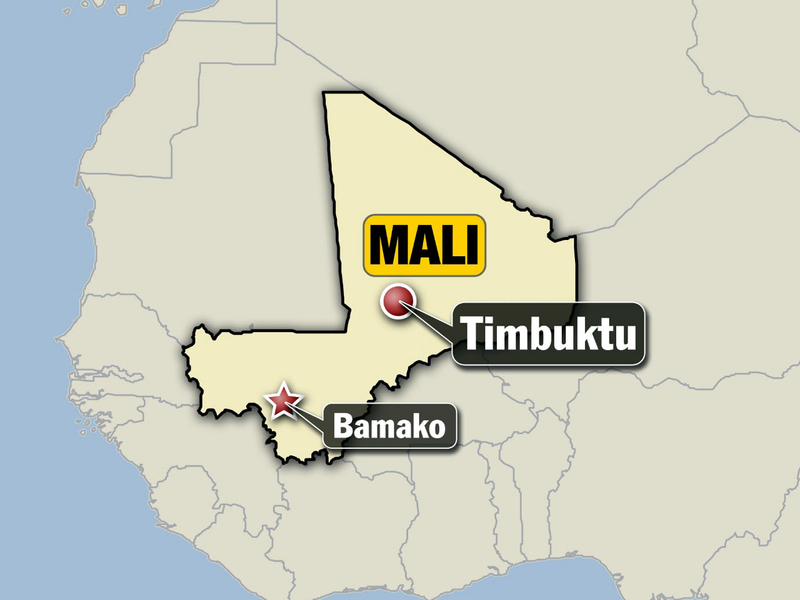 BAMAKO, Mali A suicide bomber attempted to force his way past the defenses of the city of Timbuktu on Saturday, detonating himself on its outskirts, while a landmine exploded in another part of northern Mali, killing a total of three, officials said. The twin attacks come as French President Francois Hollande told French television that French forces had attained their objectives in Mali, a country which until January had lost its northern half to an al Qaeda cell and their allies. After the extremists began a southward push, Hollande unilaterally authorized a military intervention, quickly liberating the main cities in the north. Outside the heavily fortified cities like Timbuktu, however, the jihadists are still present, leading an increasingly brutal insurgency. "The jihadist was driving a car loaded with explosives," said a military official based in Timbuktu, who requested anonymity because he was not authorized to speak to the press. "He arrived on the road from Goundam at the Timbuktu checkpoint, and our elements opened fire. He blew himself up," killing himself and injuring at least one soldier, said the official. Timbuktu resident Age Djitteye said he heard a loud explosion and heavy gunfire, starting at 10 p.m. on Saturday. By midnight on Sunday the shooting had receded, he said by telephone. In a statement, the Ministry of Defense also confirmed that an army vehicle drove over a landmine during a patrol around 110 kilometers (70 miles) from the northern Malian town of Ansongo, killing two people on board. For 10 months until this January, Timbuktu as well as much of the rest of northern Mali was ruled by al Qaeda in the Islamic Maghreb, as well as two other jihadist groups allied with the terror network.